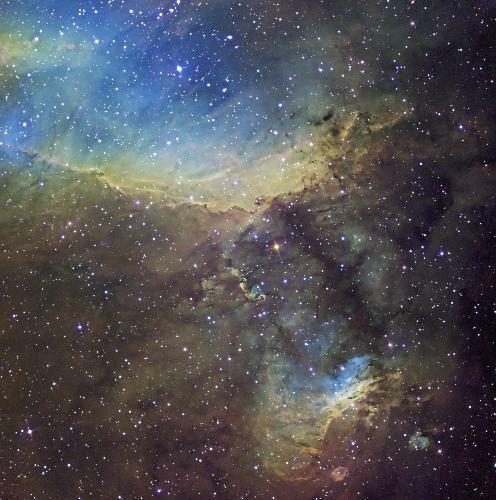 This image of IC 4628 Nebula was taken at our Australis location by Don Goldman. Exposure Time: 10.5 hrs Total: 3.5 hrs H-a and OIII, 3 hrs SII, 30min RGB, Camera: Apogee U16M, Telescope: RC Optical 14.5" f/8.2 Classical Cassegrain, Mount: Software Bisque Paramount ME. 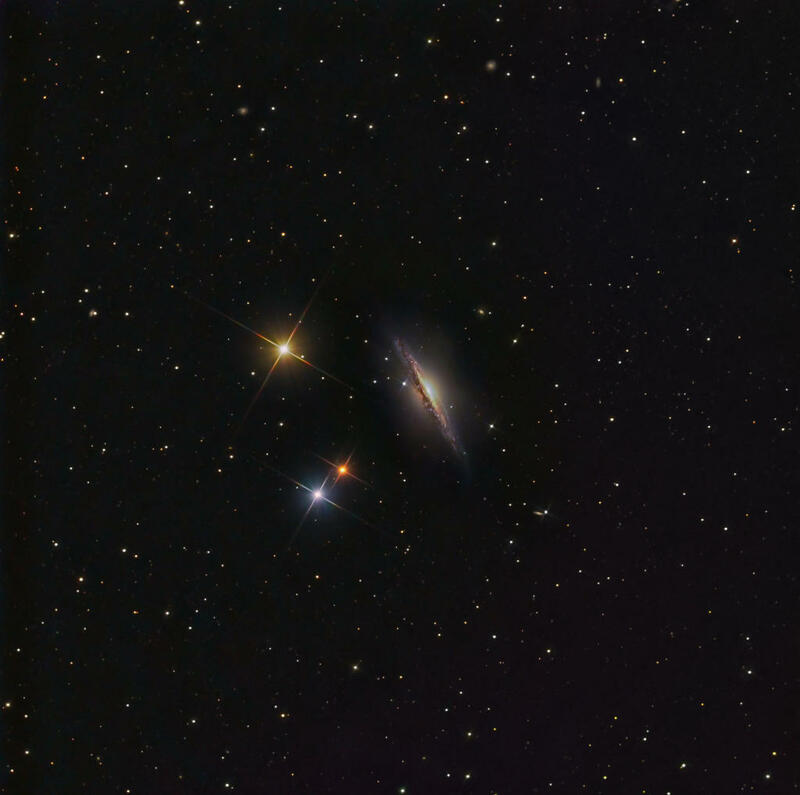 NGC1365 is one of the large, showpiece galaxies of the southern skies located in the constellation of Fornax at RA 03h33m36.4s and DEC -36deg08m25s. 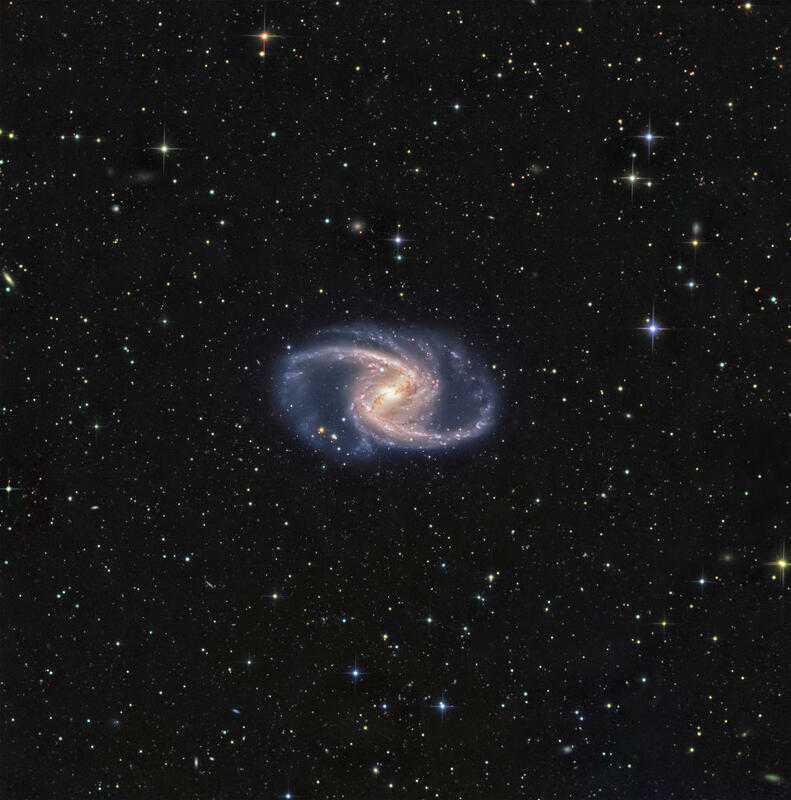 It is a barred spiral galaxy (R)'SB(s)b 56 million light years distant, bright (mag. 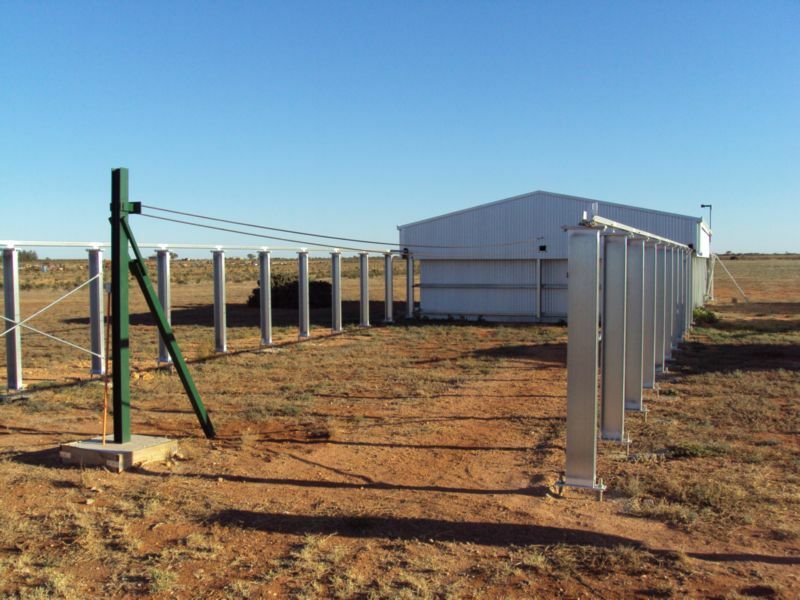 9.5) and huge, with a diameter of 200,000 light years and an apparent size of 11' x6'. This image is ~ 42' x 42' and north is toward the upper left. Many of the small background galaxies are ~ mag 16, such as the elliptical galaxy, PGC 74714, directly above NGC 1365 near the tiny, bright blue star. 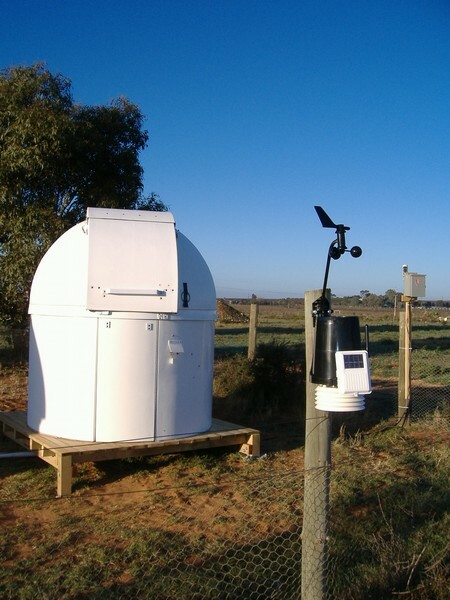 Dome and one of our weather stations components.